This elegant box was featured in Martha Stewart Weddings, 2016. Initially, their editors approached Bella Forte Designs to create a wedding guest book. But after further conversations and recommendations, we created a beautiful custom box which would not only hold the guest book, but also house guest cards. The lid was hinged with ribbons to create a elegant open presentation. 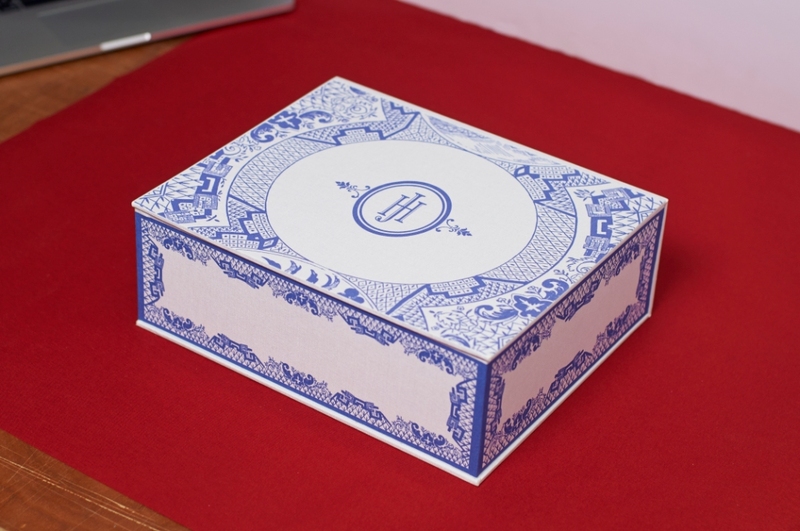 The custom designs were printed on white Iris book cloth on all sides and interior of the box. Truly a memorable keepsake for the couple’s special day! Take a look at our Ready Made page for inspired wedding guest book and box options!